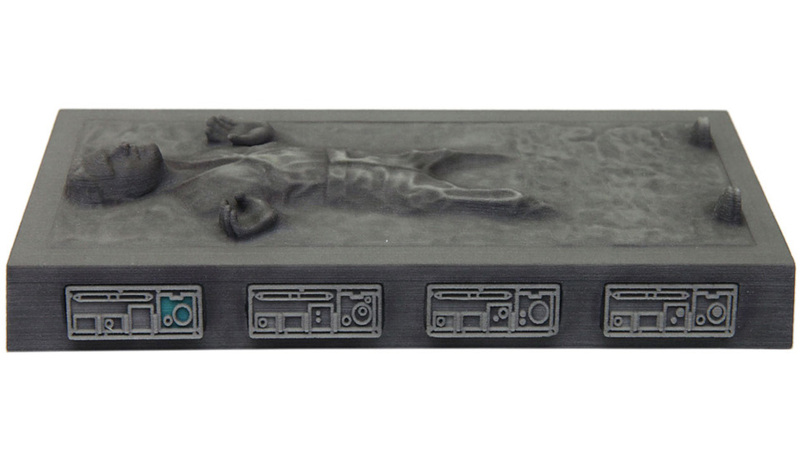 You no longer have to be a smuggler who drops his shipments at the first sign of an Imperial cruiser to be frozen in carbonite. As part of its Star Wars-themed weekends, Disney World is now offering that service to all of its guests. But you don't have to worry about how you're going to get home afterwards because they don't really freeze you in carbonite. Instead, when you enter the 'Carbon Freezing Chamber' several cameras capture your facial features from all sides, and the resulting 3D model is used to create an eight-inch carbonite figurine featuring your likeness.